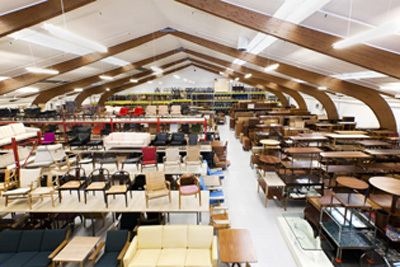 At Roxy Klassik, we stock exclusive cabinetmaker furniture and high-quality mass-produced furniture, and we always have a wide selection of furniture by the best Danish designers. Poul Kjærholm, Arne Jacobsen, Hans J. Wegner, Finn Juhl – and all the other visionary and respected designers – have been good friends of ours for two decades. Roxy Klassik takes subject to errors and price changes. Prices are regularly adjusted. Apply only for internet sales to private customers (i.e. not for internet trade with a professional art- & antiquedealer). When making an internet purchase with members of the Art, Antique & Design Association (KAD), you as a private consumer are entitled to a 14 days right of cancellation, according to the Danish “Sale of Goods Act”. The 14 days period starts from the day of the arrival of the goods. If exercising this right, you are requested to contact the seller, before you return the goods. When returned to the seller, the goods must be in same condition and number as when received by the customer, and the buyer must pay the shipping costs of the return. Members of the Art, Antique & Design Association (KAD) will allways carefully examine the items for defects, before shipping these carefully packed.